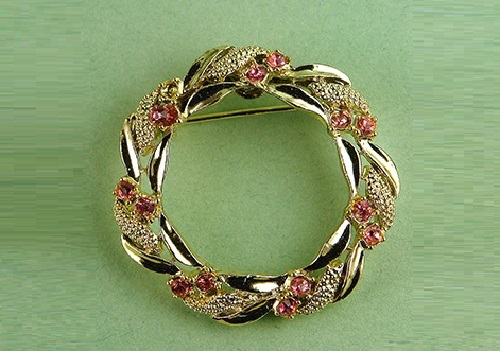 History of Gerry’s Creations began with Geraldine Giles in 1950. 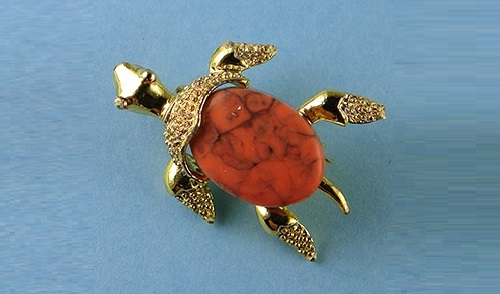 As established in the peak of the popularity of costume jewelry, Gerry’s Creations have been able to stay on the market for more than 40 years. 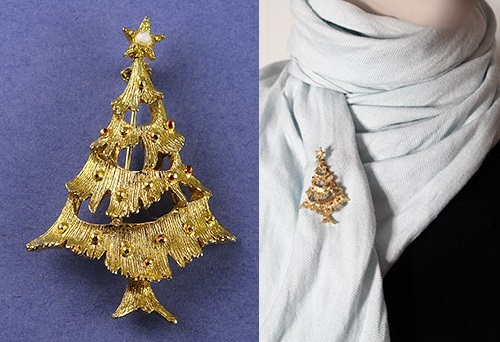 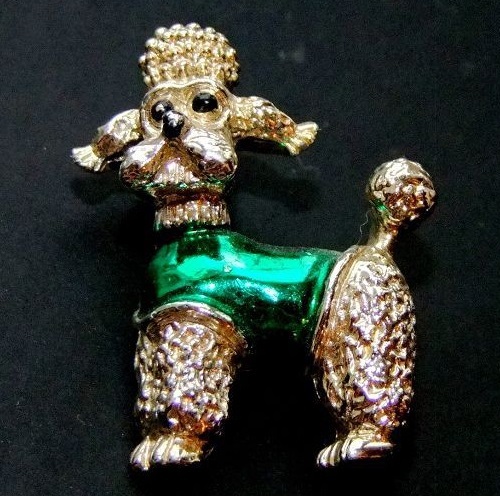 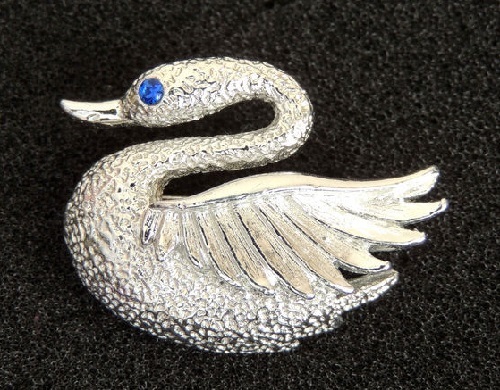 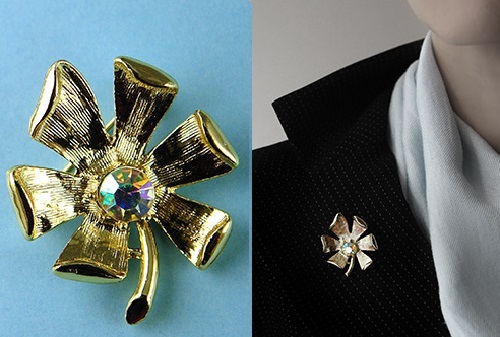 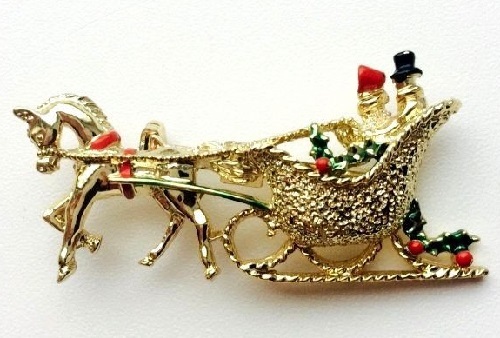 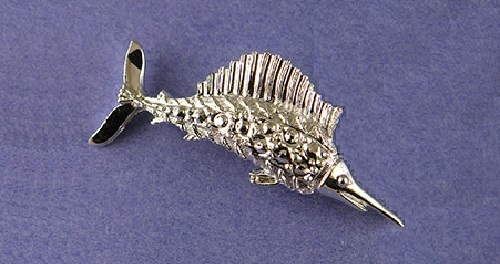 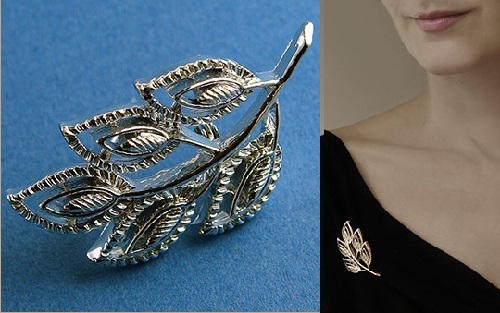 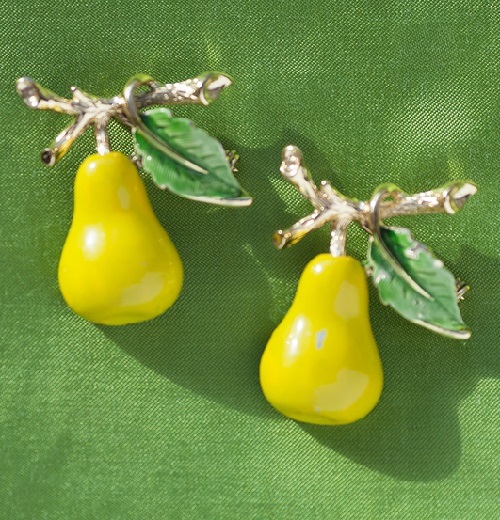 The main direction, familiar to most collectors of this brand, were Christmas brooches, many of which are included in the costume jewellery catalogs. 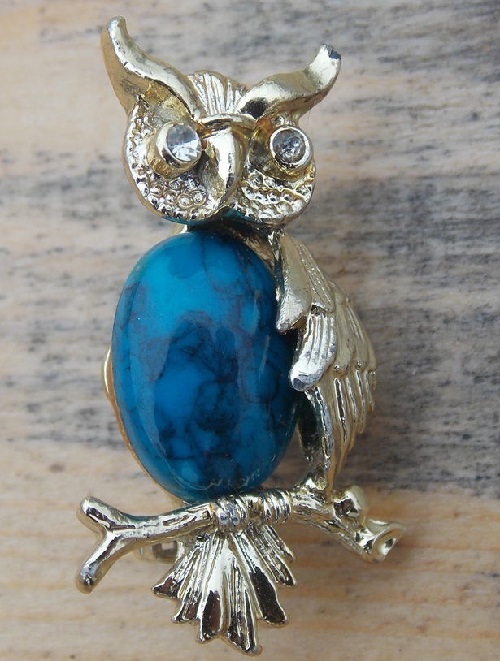 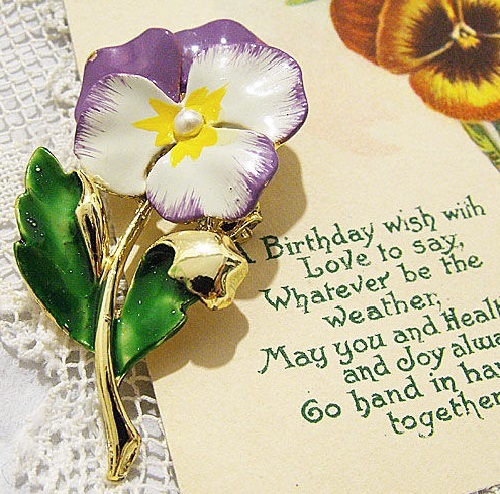 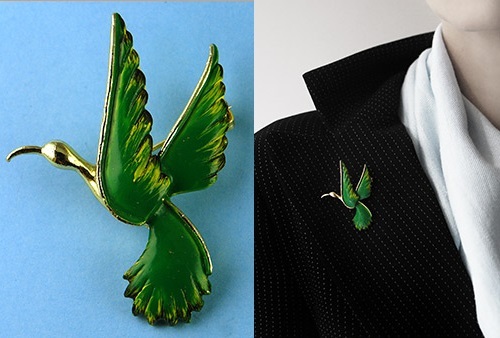 In addition, among collectors are very popular brooches with the image of animals, birds, butterflies and flowers. 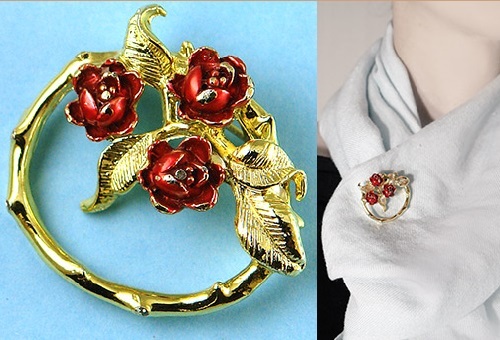 Gerry’s was also famous for themed brooches, for example sport series – tennis rackets, bowling, etc., but they are particularly rare. 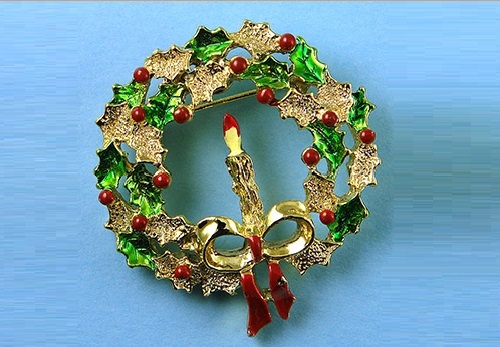 The company ceased operations in 1996. 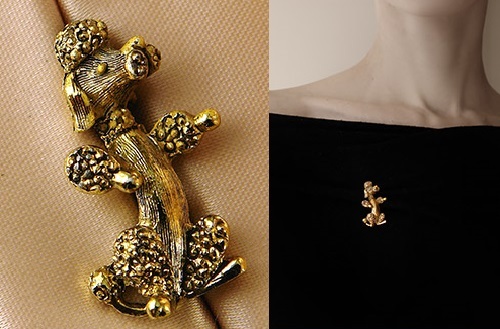 Gerry’s costume jewellery is rare, their antique brooches are for those collectors who love and appreciate jewelry with history. 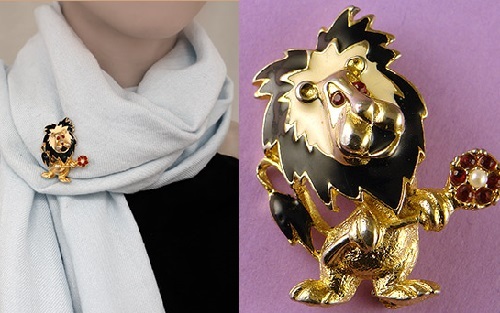 Golden Bear from Gerry’s with a gift box and a poinsettia flower on the scarf. 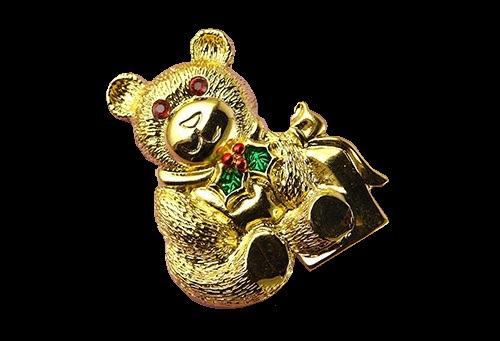 The brooch is made of alloy coated with a burnished gold, bear eyes made of red crystals, bear partially decorated with colored enamel. 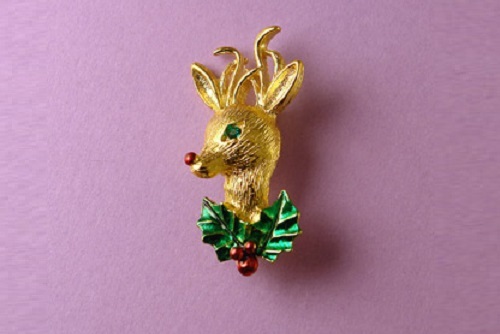 Marking – GERRY’S ©, 1980-90-ies, USA. 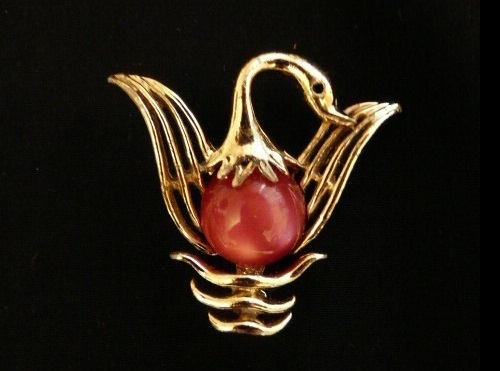 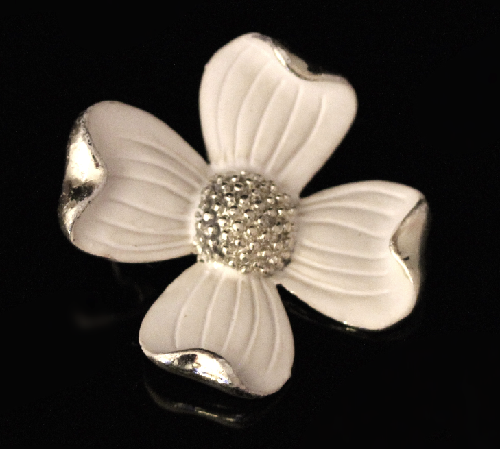 Company Gerry’s Creations, Inc. began producing jewellery in the 1950s. 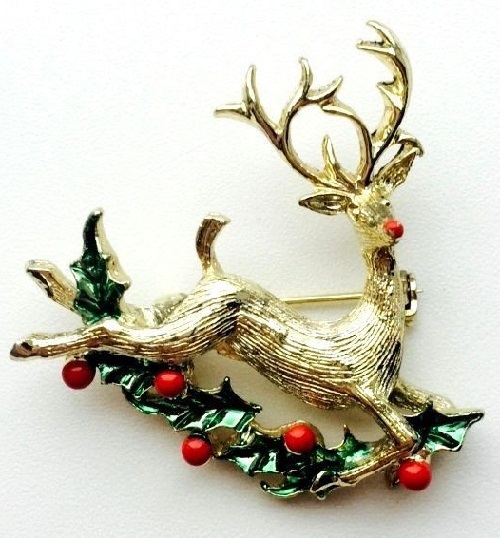 It was well known for Christmas brooches, as well as decorations in the form of animals. 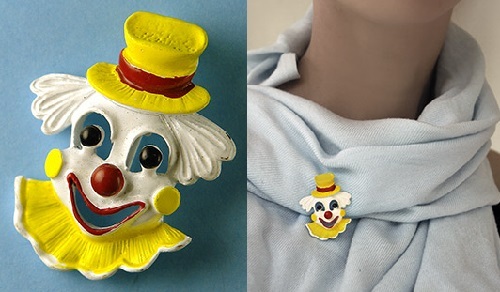 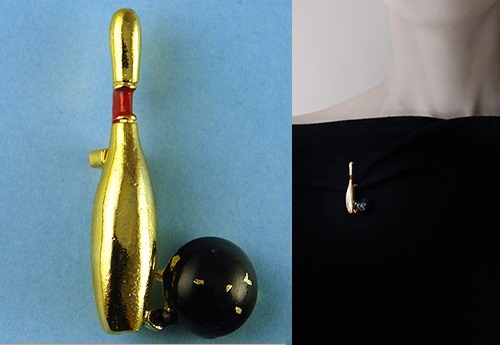 You can find Gerry’s jewelry of rather unusual designs, like the above brooch for Ten-pin bowling lovers.